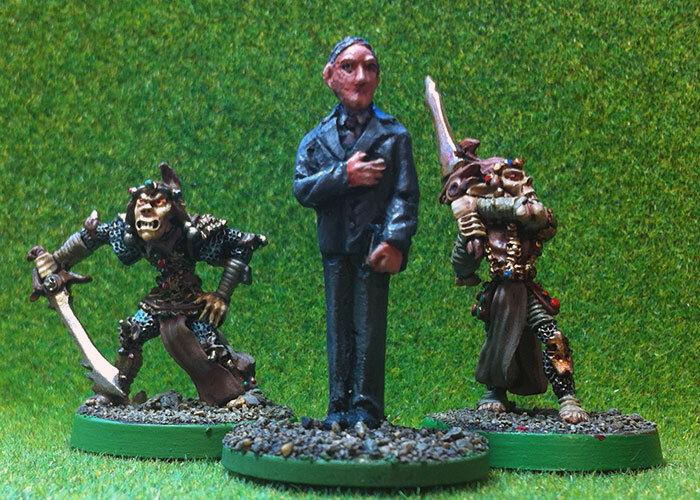 Githyanki are from the Citadel AD&D range. Numbers 69. Heh. 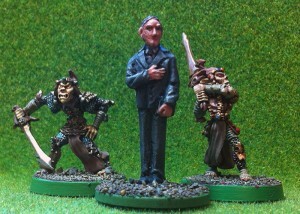 Monsieur Lovecraft is from Uncle Mike’s Worldwide. And that book in his hand? It’s the Metanomicon. 2) If you haven’t played Strange Aeons yet you’re broken. If you haven’t seen Night of the Lepus you should. Speed 50 ft., burrow 5 ft. Standing Leap. The lepus can high jump up to 30 feet and long jump up to 100 feet without a running start. Multiattack. 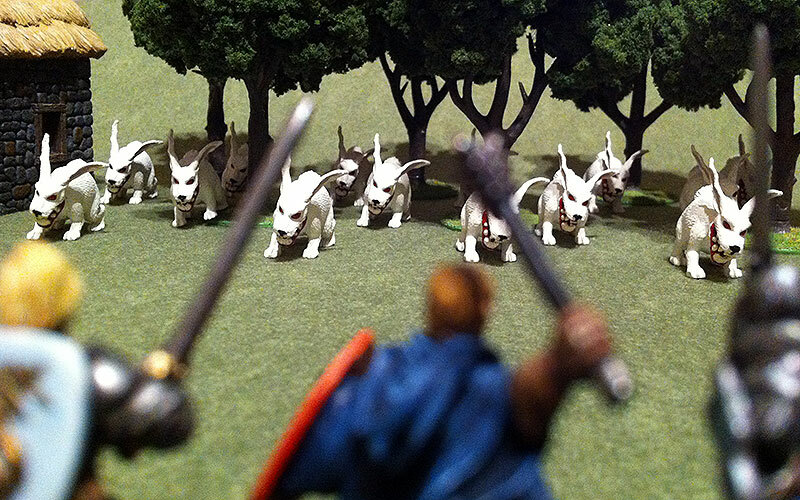 The lepus makes two attacks: one with its bite and one with its claws. Hypnotic Gaze. Per the 2nd level Wizard School of Enchantment Arcane Tradition ability (PHB 117). Suggestion (Recharge 4-6). Per the 2nd level Wizard spell (PHB 279). Hypnotic Pattern (Recharge 3-6). Per the 3rd level Wizard spell (PHB 252). Mass Suggestion (Recharge 5-6). Per the 6th level Wizard spell (PHB 258). Bite. Melee Weapon Attack: +2 to hit, reach 5 ft., one target. 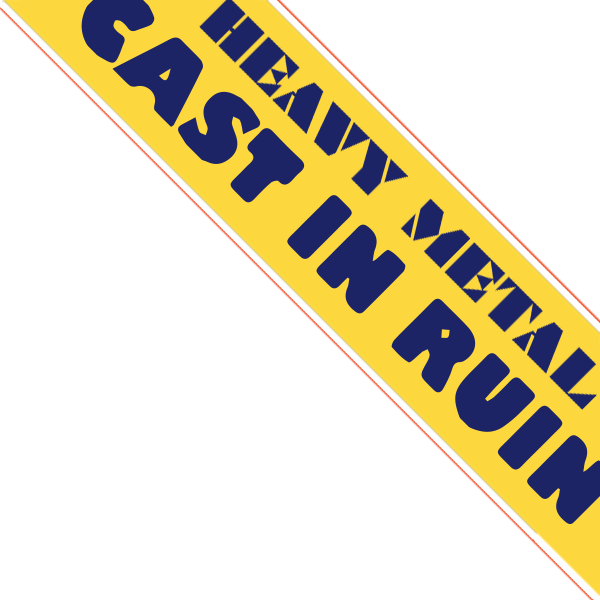 Hit: 4 (1d6 + 1) piercing damage. 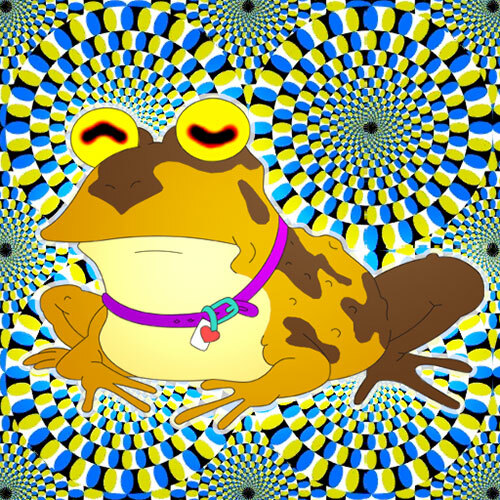 The Hypnotoad rarely uses its powers for violence. It typically causes others to wander off and leave it in peace, though it does like to hear people talking about how great it is as they leave. Keen Hearing and Smell. The dog has advantage on Wisdom (Perception) checks that rely on hearing or smell. Bite. Melee Weapon Attack: +4 to hit, reach 5 ft., one target. Hit: 7 (2d4 + 2) piercing damage. If the target is a creature it must succeed on a DC 11 Strength saving throw or be knocked prone. Bee Bark (Recharge 5—6). The dog shoots a swarm of bees (see below) at a single target up to 15 feet away. The swarm will not attack the dog and will persist even if the dog is killed. Stings. Melee Weapon Attack: +3 to hit, reach 5 ft., one target in the swarm’s space. Hit: 5 (2d4) piercing damage, or 2 (1d4) piercing damage if the swarm has half of its hit points or fewer. The target must make a DC 10 Constitution saving throw, taking 7 (2d4 + 2) poison damage on a failed save, or half as much damage on a successful one.